Bigfork, Montana: Flathead Lake Brewing Co. is proud to announce that during the month of February, they will be celebrating their 15th year in operation as a brewing facility. 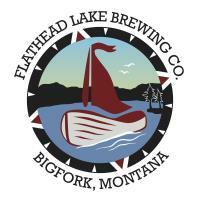 The Flathead Lake Brewing Co. started in 2004 in Woods Bay, Montana. Their owner Greg Johnston had two very specific goals. The first: to make the best beer ever. The second: to have fun doing it. Naming the brewery wasn’t hard. FLBC overlooks the shores of the largest freshwater lake in the West – and they would argue the most beautiful. In 2006 FLBC was honored with becoming the youngest brewery ever to win not just one, but two, World Beer Cup awards. Their brewery brought home a Bronze medal for the Peg Leg Porter (now the Painted Rock Porter) and a Silver medal for the Mutiny Stout (now the 369′ Stout). By 2012 the Woods Bay brewery was at full production and plans were made to expand. FLBC acquired the old bowling alley in Bigfork and the next two years were spent remodeling the building to become one of the most sustainable breweries in Montana. In 2015, their new brewery opened in Bigfork and Greg’s daughter, Sandy, opened the FLBC Pubhouse. 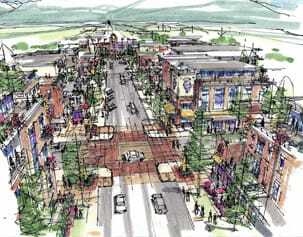 Sustainability continues to be a focus of FLBC. On April 24th, 2018 FLBC was honored with receiving the inaugural Sustainabrew award sponsored by the Montana Brewers Association, Montana Conservation Voters Education Fund, and Montana Renewable Energy Association. The Montana Sustainabrew Award was created to highlight a Montana brewery for their efforts in sustainability and to demonstrate that business decisions made with sustainability and conservation in mind are good for their beer, their business, and their community. FLBC also came in third place in the country this year in the Brews from the Sun competition put on by Solar United Neighbors. This competition was a great tool to help educate people on the sustainable aspects of their brewery and why FLBC feels that using solar power is an important aspect of their overall goal of being environmentally responsible. FLBC will be organizing special events to celebrate their anniversary during the week of February 11th through the 15th. They will be releasing a special, limited-edition beer to honor this milestone. The 15th Anniversary Bière de Garde was brewed with over 100 pounds of locally grown Sweetheart cherries and aged in barrels for six months before its release. This beer will be available on tap and in 750ml cork and cage bottles. In addition to this limited-edition brew they’ll be hosting a Trivia Night on Wednesday with the grand prize sponsored by Professional Therapy Associates, a special Valentine’s Day dinner, retro food specials throughout the week, and FLBC will end the week with live music from the Mike Murray Duo during the bottle release party on Friday. In 2019, Flathead Lake Brewing Co. plans to continue their sustainable focus, finish remodeling the basement of the Pubhouse to create a lounge and music venue, and expand their lineup of craft brews. This spring, FLBC will be releasing two new styles, the Zero Day Double IPA and Fair Winds Scotch Ale. Stay tuned for more information! Located in Bigfork, Flathead Lake Brewing Co. is all about quality handcrafted and award-winning beers using local ingredients and glacial water. Found on tap, in cans, and bottles in stores throughout Montana and Northern Wyoming. For more information, check out the website www.flatheadlakebrewing.com or contact Sarah Peterson at 406-837-0085.